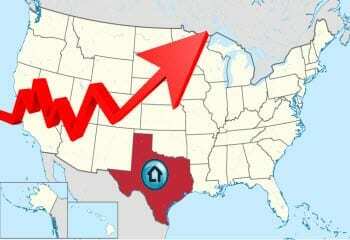 Coastal property owners in Texas may get a break in their homeowners insurance premiums. A new law that aims to reconfigure the Texas Windstorm Insurance Agency is set to go into effect. The organization provides insurance coverage for those that live in coastal areas, and offers protection from the damage caused by windstorms and similar disasters. The law is meant to decrease the homeowners insurance premiums for those receiving coverage through the Texas Windstorm Insurance Agency. Texas has been laboring to re-work the state-run insurance provider for some time. Those living in coastal regions have suffered under the weight of high homeowners insurance premiums. For many, handling these premiums have placed them under a significant degree of financial stress. The state has been working to address the issue of high premiums for some time and has made several changes to the Texas Windstorm Insurance Agency over the past few years. Whether or not the legislation will be successful in reducing insurance premiums will depend on if the state is hit by a major windstorm in the future. The legislation is creating a new funding structure for the insurance organization, which is designed to provide better premiums to consumers living in 14 coastal counties throughout Texas. These premiums will be lower than those in the past, but if Texas falls victim to a major windstorm premiums may continue to rise. Lawmakers are heralding the passage of the legislation as a major victory for homeowners and insurance companies alike. One of the major changes introduced in the legislation is which group will be assessed for financial aid from the Texas Windstorm Insurance Agency in the event of a natural disaster. Private insurers that offer policies in coastal regions will be the first assessed if the claims they receive exceed their available funds. This means that homeowners and businesses will be less exposed to financial risks associated with windstorms. Could a smartphone app soon be as important as auto insurance to drivers?